The Lean Machine 2 Bike Gravity Rack holds 2 bikes with a patent-pending arm assembly that offers 3 dimensions of adjustment to accommodate any style of bike. 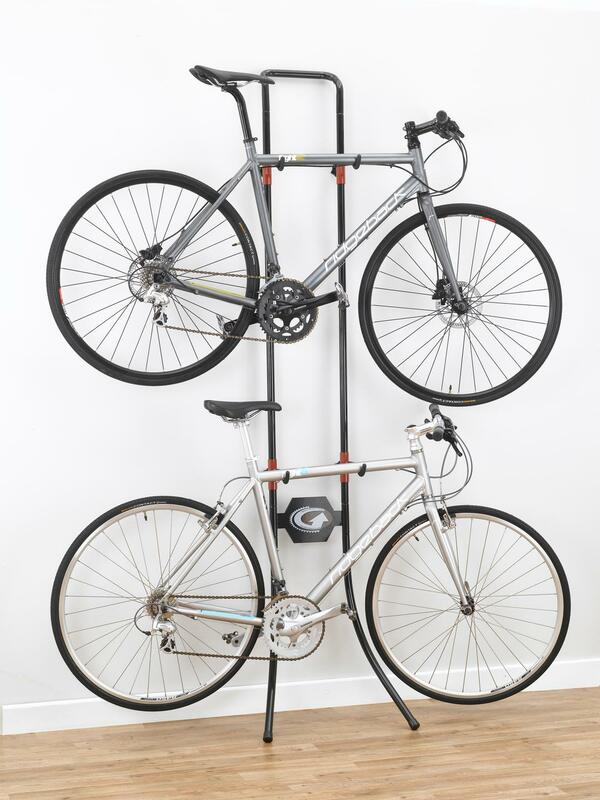 Heavy-duty powder coated steel tube construction resists scratches and rust and provides a strong dependable rack. Overall height is 84". Rubber caps protect the floor from unsightly marks. Assembled dimensions 84" high, 30" wide, and 24" deep. Weighs 13 lbs.